APEGBC Sea to Sky Branch Dinner & Technical Presentation "Sea to Sky Gondola"
We are organizing a technical tour of the Sea to Sky Gondola for a later date. Also, if you would like to sponsor this event, please contact Sea to Sky Branch Chair, Mamoud Bashi, P.Eng. at [email protected] Thank you. Over the last six years, Mr. Dunn has been responsible for the day to day operations, financing and future planning and approvals of the Sea to Sky Gondola. Prior to starting this unique and exciting project, Trevor worked with Intrawest from 2001 to 2008, most recently acting as Vice President of Development. Mr. Dunn was responsible for delivering the Westin Imagine Orlando, a $130 million, 315 rooms condominium hotel. In his development role, Trevor was also responsible for 50 million dollars worth of asset divestitures that included commercial assets, land and business entities. • Operational planning during pre-development to ensure that all the appropriate businesses are factored into the plan. Mr. Dunn has an Applied Science degree in Engineering from the University of British Columbia and is active with the Canadian Cancer Foundation. He lives in North Vancouver with his wife Emily and children, Riley, Josie and Oliver. When he is not trying to keep up with them, he enjoys running and surfing. Cost: $45 each for members and guests who register on-line. $50 each for members and guests who register at the door. $30 for EIT or GIT’s who register on-line or at the door. $25 for student members of MAPS who register on-line or at the door. APEGBC Sea to Sky Branch Dinner & Technical Presentation "Sea to Sky Gondola". Squamish is home to many outstanding natural attractions that people from all over the world come to visit every year. The Sea to Sky Gondola links these elements into one unique recreational experience; a true Sea to Sky experience! 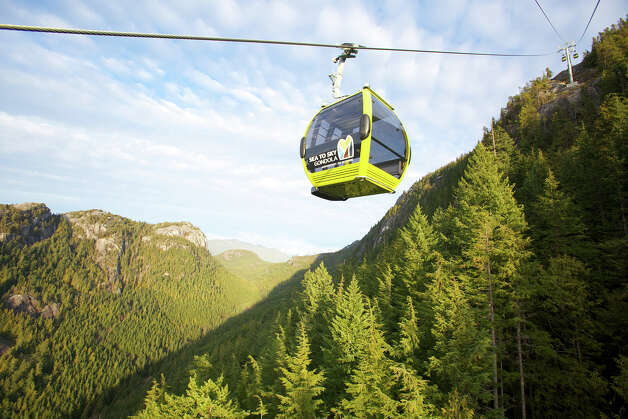 Located in Squamish and nestled between the dramatic Stawamus Chief Mountain—aka "the Chief" — and Shannon Falls Provincial Park, the design of the Sea to Sky Gondola ride makes it seem as if it is carved naturally into the mountain side. 7:00 - 8:30 pm Speaker’s Presentation. To help us predict our catering needs, please register by September 10, 2014. Thank you!